Your incarcerated relative or friend is facing daily physical and spiritual perils; help him with this unique daily Christian survival guide (browse through some of it now by clicking on the Google Preview app). Regardless of his age or security classification, he will be refreshed by its morning and evening scripture selections (KJV), finding relief from the despair and discord surrounding him. He will learn of God’s eagerness to bless him, restore him, and make him a channel of supernatural grace to other inmates. Use spiritual authority, led by the Holy Spirit, to supernaturally transform the dark atmosphere (and people) around him. 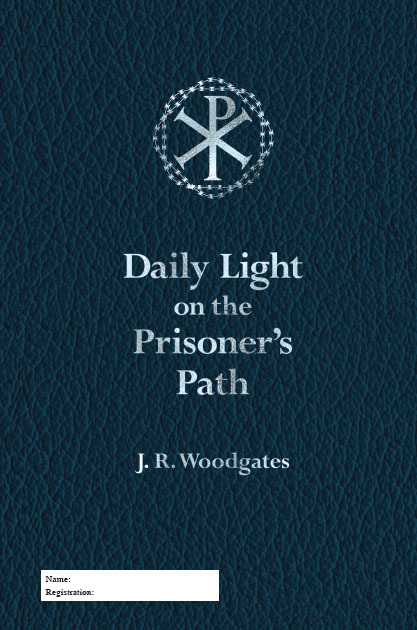 This is the only comprehensive Christian resource available for men behind bars. Now parents, pastors, chaplains, prison ministries, spouses, other family members and friends can give them a life-restoring companion for use every day along their often-perilous prisoner’s path.